Not long after the open beta, DICE posted an article on its website giving some early responses to some of the feedback from the test. Now, DICE has released its second Dev Talks video, which focuses entirely on a much more substantial response to all the feedback and data the company collected on its newest game. The video, which runs for roughly twenty-four minutes, is a candid look into how the Battlefield V team thinks about its games and how it approaches things like feedback adjustments. In the video, DICE representatives address plans or issues with the Attrition feature, visibility, death, TTK/TTD, and vehicles. For Attrition, the team at DICE is looking to make adjustments to starting ammo on spawn, provide an overall higher ammo capacity, and give everyone a single-use health pouch on spawn. As a result, some changes are also being made to supply stations, particularly where they will be located versus where players will want to build them. For visibility, DICE is added a mechanic called “distance haze,” which is a sort of focus technique meant to help players focus on important details a bit more. Lightning adjustments are also being made to stages like Rotterdam, including fixes to actual errors and manual adjustments in some areas. The “death loop” is also changing. The timing for bleeding out is being adjusted, with the option to skip it entirely and just die right away. Respawn timing is also being tweaked, to make the overall “highs” of the came more pronounced. Time To Kill and Time To Death are being adjusted. With TTK, DICE wants to emphasize that players shouldn’t run out in the open, and that much of what’s in place there is deliberate (but still subject to change based on data). Meanwhile there’s an actual technical issue with TTD, which is a work in progress. Vehicles were also part of the video. With airplanes, visibility is once again an issue, and DICE is extending spotting range to help with that. 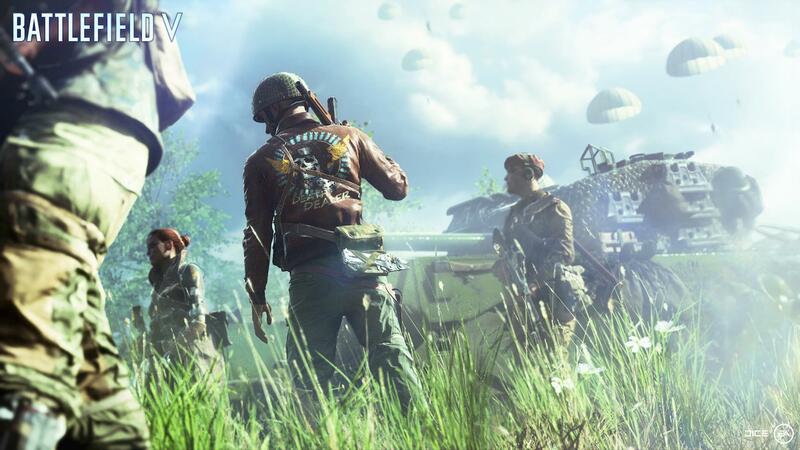 For tanks, many players complained that the tank in the beta felt too slow, but DICE emphasized that multiple classes of tank will be in the final game, each with different properties. Battlefield V will be released on November 20, 2018.